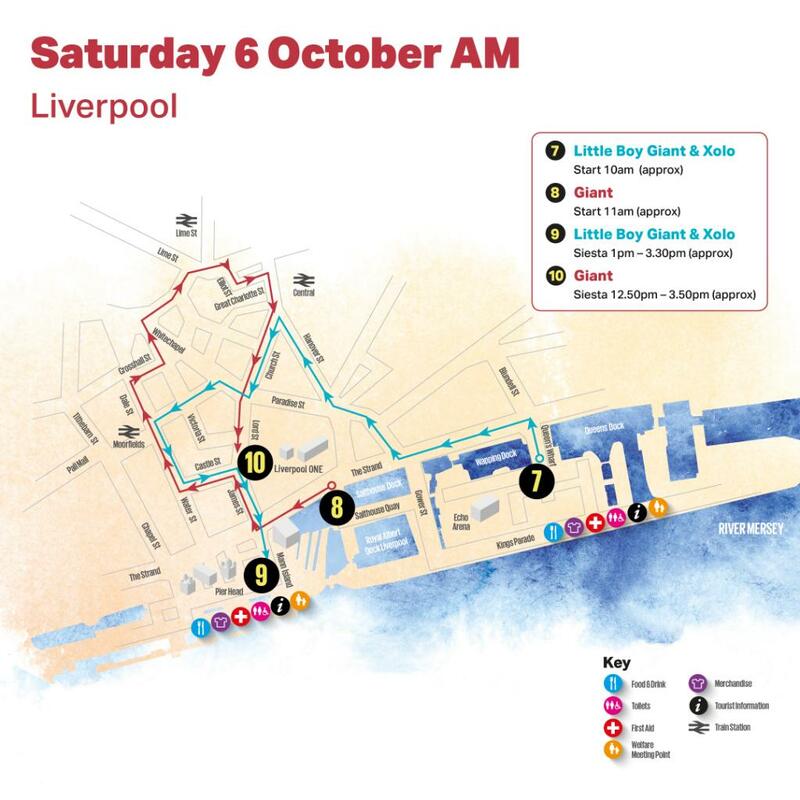 Liverpool’s Dream will see all the Giants visit the streets of Liverpool on Saturday 6 October. 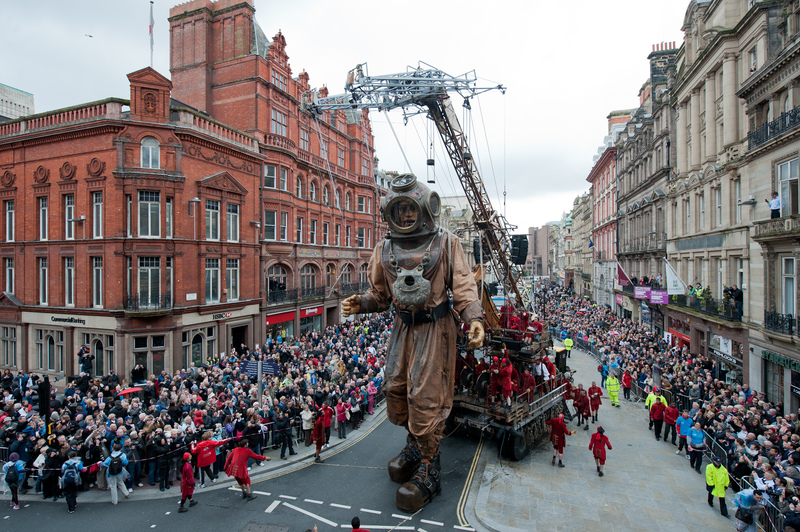 The Little Boy Giant & Xolo will wake up at Queens Wharf at 10am, as The Giant arrives in Canning Dock at 11am after his adventure in New Brighton, ready to once again explore his second home in Liverpool! You can view images of the map route, with an interactive Google map below. 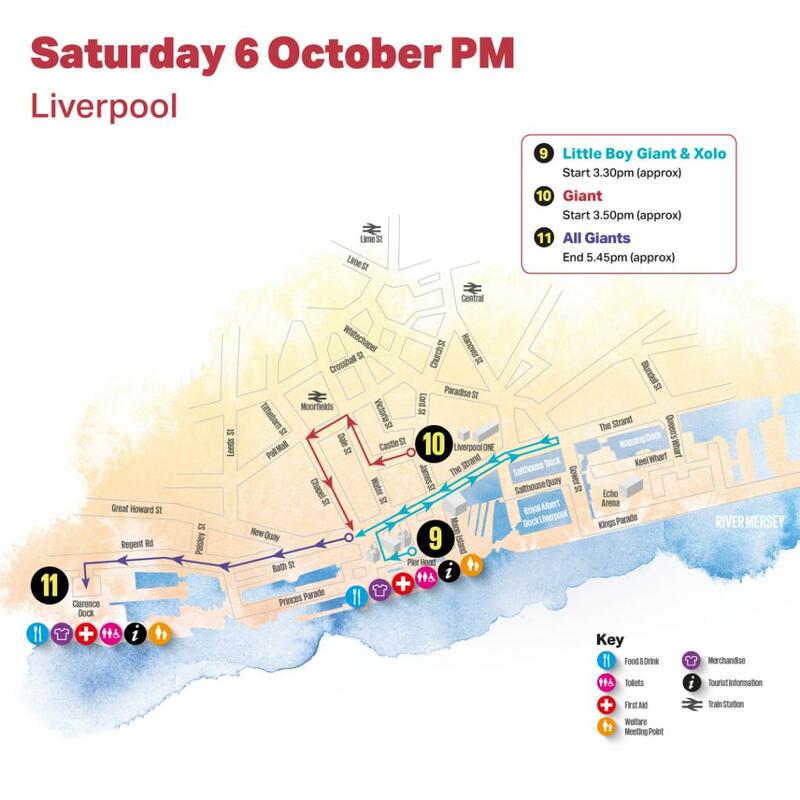 Printed versions of the route map are available across different venues in the Liverpool City Region including Tourist Information Centres in Liverpool Central Library and the British Music Experience in the Cunard Building. Find a full list of locations here. Find all the routes here.